Berlin proved to be an inspired choice for Toyota's top dealer reward trip. Pre-event planning: The annual Toyota Ichiban Award rewards the owners and senior managers from the top-performing Toyota dealerships throughout Europe. The winners of the in-house award and recognition programme are taken on a trip and are encouraged to bring their partners along. P&MM was tasked with designing a trip somewhere in Europe for the dealers, offering the same customer satisfaction that the winners provide to their own customers. The agency communicated with the participants via a pre-event website providing details of the destination. 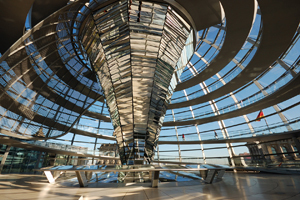 Challenges: Booking the Parliamentarian's restaurant at the Reichstag proved challenging, as the agency had to work within tight security, says Chris Clarke, director of events at P&MM. However, this was overcome by speaking to the contacts in Berlin. "We also had to be aware that budgets are tight and we wanted to showcase something special, without spending over the top," adds Clarke. Solution: Berlin was chosen to host the event, due to its accessibility and good value. "Berlin has many iconic venues and world-class hotels," says Clarke. The Adlon Hotel was selected to house the guests, while Club Felix was used for the low-key awards ceremony. This was followed by a short walk through the Brandenburg Gate to enjoy a VIP dinner in the Parliamentarian's restaurant and tour of the Cupola at the Reichstag. Post-event analysis: Feedback from guests was positive. Toyota Motor Europe's customer satisfaction projects senior specialist Herve Jodogne says: "P&MM came up with an original and competitive proposal for our Ichiban project and delivered an exceptionally well-received event, demonstrating professionalism."